One more smaller article won’t hurt. 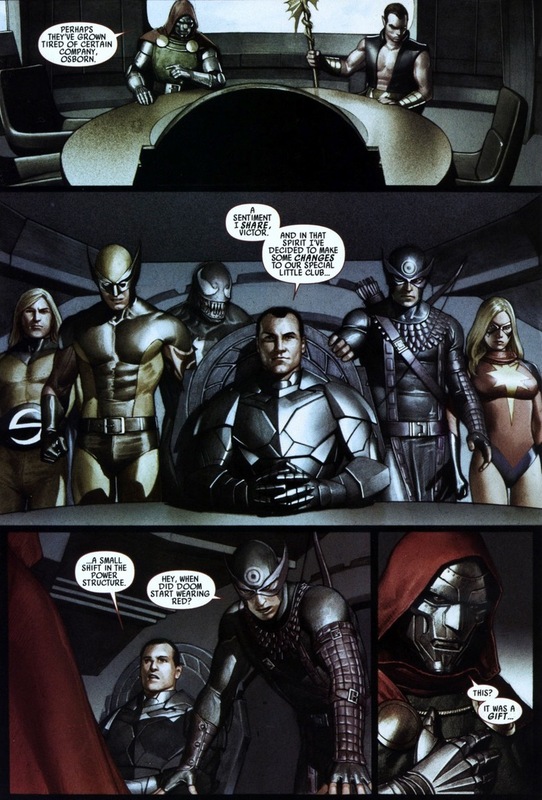 We continue our short stories from the beginning of the Marvel event Dark Reign with another piece from the Dark Reign: The Cabal one-shot, written by Jonathan Hickman and drawn by Adi Granov. Y’see, Norman Osborn can’t get superheroes to work with him due to his past as the Green Goblin and his present as a conniving jerk. 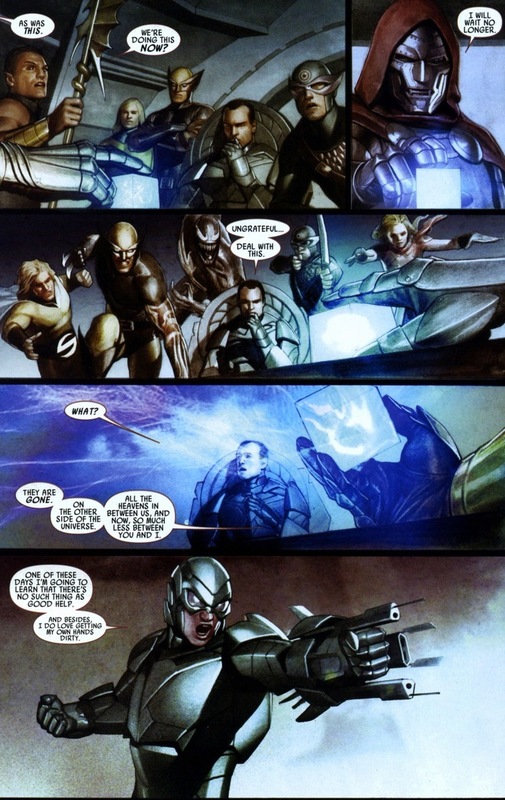 That means his allies have to be his peers, and other supervillains have a long history of not working well together. Mainly due to egos, psychopathy, megalomania or whatever other evil plots they can think of. Each time a supervillain betrays another supervillain, he gets a gold star on his record. Whoever has the most gold stars win. Especially since they can’t seem to win against the good guys. 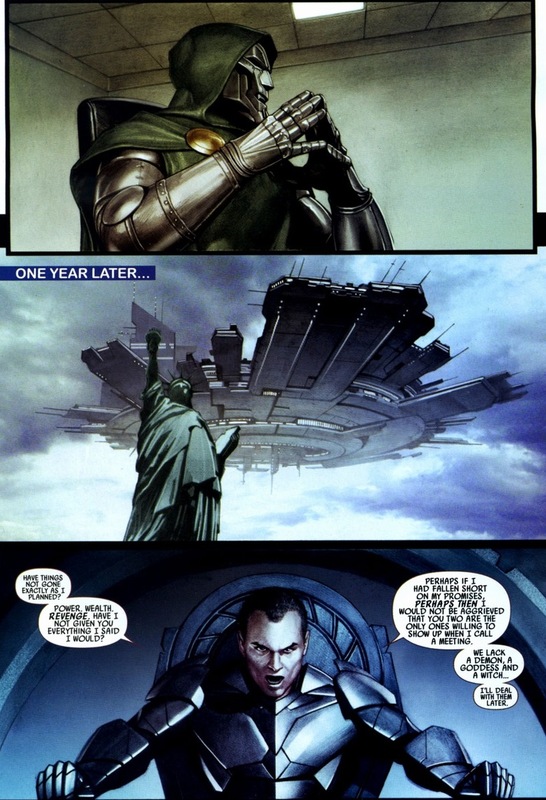 Anyway, Norman Osborn picked a secret “cabal” to help him rule the world and stuff — Emma Frost, Loki, Namor, Doctor Doom, and the Hood. Of those five, four end up betraying him, so y’know. Note the upcoming color change from normal to a shade of blue. That’s important later. 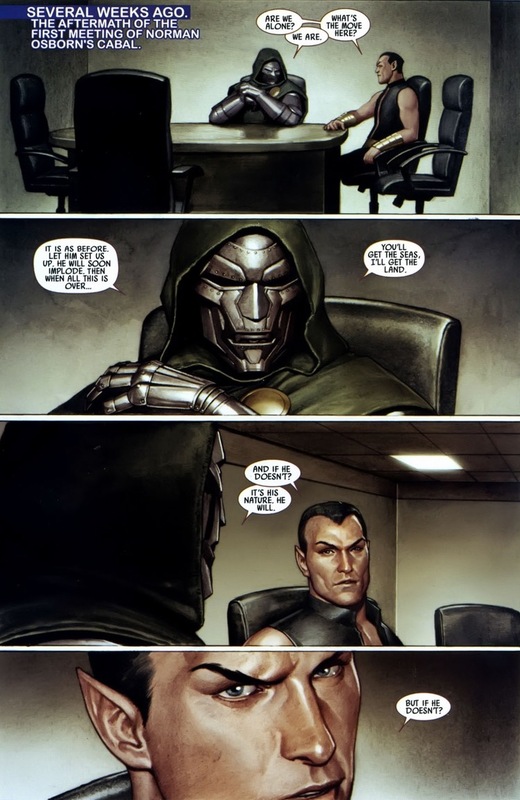 Now as you know, Doom’s right — Osborn does soon implode. But you want to know how things would go down if Osborn actually succeeded in his delusional plots? Of course. The Green Goblin made the terrible decision to make deals with supervillains, after all. You can see where this is going. 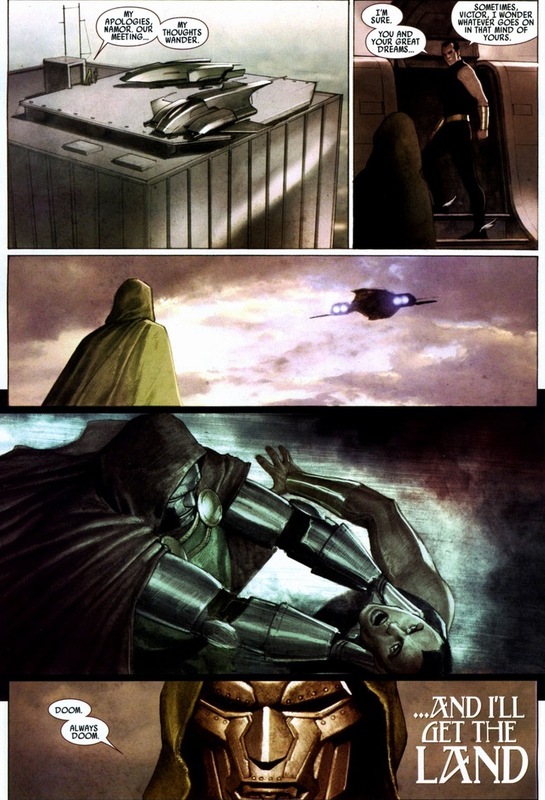 While Osborn may rank in the top five of most influential supervillains in the Marvel universe, he’s no Doctor Doom. By the way, can we all agree Doctor Doom is a silly name? There’s no way he’d be named that if he wasn’t created in the early 1960s. Plus, wouldn’t his royal titles supersede his PhD? Emperor Doom, right? 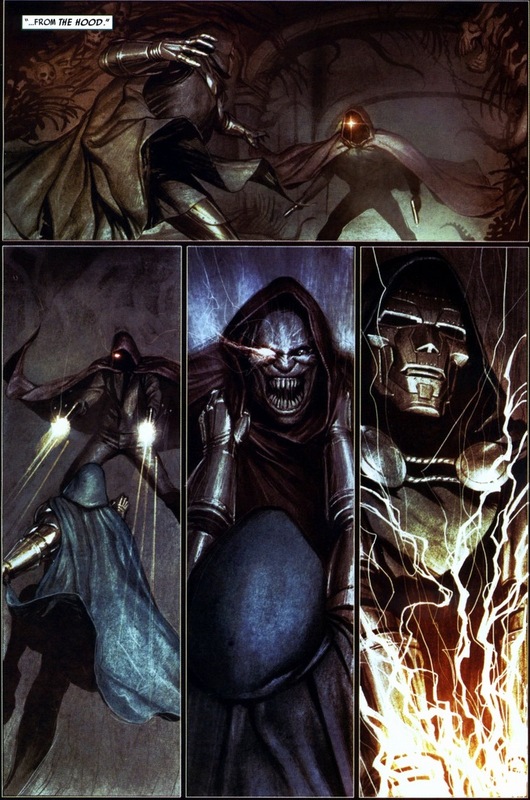 Oh, and Doom murders the Hood. So Doom enslaved Emma Frost and (female) Loki, who I assume the latter can turn back into a dude anytime he feels like it. My only guess: Loki has a secret fetish. But look at the genius of this story: the blue shaded panels are all simply Doom daydreams, like we have when we’re staring at our computer screens at work. Under that mask still lies an adorable human mind, just really evil and stuff. Plus that whole naked Emma Frost and Loki thing? 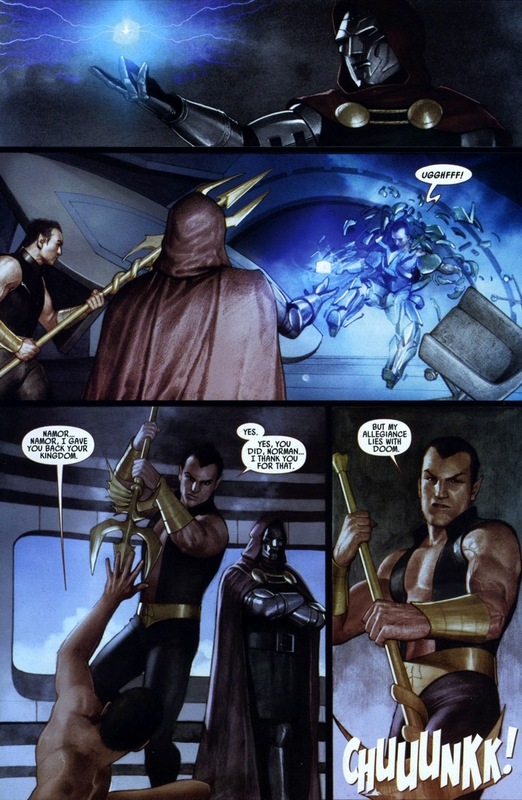 As weird as this sounds, it sort of humanizes Doom further to know he’s just as perverted as his other fellow supervillains, because I promise you, that’s all Namor daydreams about.